In medieval times, the goldsmith business developed in much of Europe (with involvement of people whom had been known earlier as money changers). By the Middle Ages, goldsmithing was an established reality. As gold was physical, heavy and bulky to store, but yet of great value, many people found that they lacked the means to store and safeguard it. Goldsmiths provided this service. When gold was stored with the goldsmith, he would write a receipt for it which was given to the gold owner. Since the gold owner could get his gold upon surrender of the receipt, the receipt was as good as gold. Soon, these gold receipts became a medium of exchange, just like coins. As these receipts represented money in the society at large, goldsmiths found that they could write more receipts than they had of gold. By issuing these receipts, they could then buy goods and services on the open market or make investments however they chose. Thus, these gold receipts were some of the earliest forms of paper money. Since many of the goldsmiths were crooked as snakes, they often issued far more receipts than they had of gold. And, if the people became suspicious and made a run on the goldsmith, when he lacked physical gold to cover his outstanding receipts, he could end up being hung or having his head chopped off. Hence, goldsmithing could be a very dangerous business. In time, the goldsmiths thought of a workable solution on how they could issue forms of receipts as paper money and make the local governing politicians responsible if something went wrong and the public wanted to hang someone. If the local government people were responsible, then the people being cheated could take their anger out on the governing politicians/kings, rather than on the goldsmiths who were operating from behind the thrones/scenes. This process paved the way for the establishment of privately owned central banks (as stock corporations) in various nations whereby these banks were given complete authority over the nations' money—to print it and distribute it almost however they saw fit. In order to be given this power, the goldsmiths/bankers typically made promises to the governing politicians and kings that they would provide them with all the money that they wanted. The privately owned Bank of England was organized in 1694. Soon, other privately-owned central banks developed in other parts of Europe. With their presence, it meant that the money of the nations involved was placed into the hands of private people who were answerable to no one. Yet, if the public became concerned over their money, and there was a run on the bank, the governing politicians/kings would be blamed and hung and not the bankers. This was a perfect scam to rip off and steal from the people. Through wars and intrigues of various sorts, a goldsmith/money changing family named Bauer surfaced in Germany in the mid 18th century. In time, this Bauer family changed its name to Rothschild and eventually established international banks over much of Europe. While the Bauer connection is not discussed, “Encyclopaedia Judaica” (v. 14, p. 334) notes a Rothschild descendancy from Isaac Elhanan who died in Frankfort, Germany in 1585. Isaac owned the house where the Rothschilds later gained their riches and fame. Though not clear, the Elhanan connection could have occurred from a maternal connection. 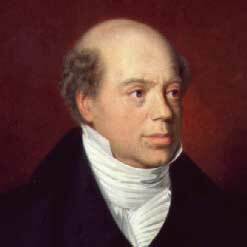 Nathan Rothschild (son of the progenitor Mayer Amschel Rothschild of Frankfort, Germany) settled in London and started an international Rothschild bank there. He was highly successful and in time became the primary owner of the Bank of England. His brother Jacob (who was also known as James) Rothschild established an international bank in Paris and he became a key owner of the Bank of France. The Rothschild family has controlled most European central banks ever since (even today, they control the European Central Bank and Swiss National Bank). Following the American Revolution, the Rothschilds made immediate plans to move in and take over the US money as they had done in Europe. They used an agent named Alexander Levine who had been trained in banking in the West Indies. He came to New York in Colonial days and changed his name to Alexander Hamilton to better fool and deceive the New Yorkers about his true status. While Levine was not totally successful at that time, in establishing a permanent US central bank, he did get a temporary one established for a period of twenty years under Rothschild ownership. It was called the First US Bank. There was a Second US Bank also for twenty years. But by the time of Andrew Jackson, in the 1830s, Old Hickory opposed them and they had to sit on the sidelines and wait. While waiting and looking for an opportunity to create their dreamland of an all powerful, private, central, US bank, the Rothschilds periodically caused depressions/recessions, money panics, etc in the US to try to get a central bank in place. They thought they would succeed in the US Civil War under Lincoln. But their efforts fell through the crack when Lincoln opposed them. On Dec 23, 1913 (while Congressional central bank opponents were home on Christmas vacation), the Federal Reserve Act was passed and President Woodrow Wilson immediately signed it into law. At last, the US had a permanent, privately-owned, central bank. By acting through agents, like the Warburgs, the Rothschilds have had primary control over this US central bank ever since 1913. Thus, the Federal Reserve Bank was born (called the Fed and actually made up of twelve member banks which are all owned/managed by private bankers). Under the act, the president is allowed to appoint a seven member overall board of governors. But the bankers organized their system by making this board a figure head operation when they created a controlling entity called the Federal Open Market Committee (FOMC). The FOMC makes the key decisions for the central bank. Though the so-called board of governors are members of the FOMC, the Fed law provides that all twelve participating private bankers are full participants in all FOMC meetings, discussions, plans and activities--although only five of these private bankers can vote on Fed actions at FOMC meetings. While the private bankers are in actual control of the twelve member banks, they are also in de facto control of the seven member board of governors. This came about because the 18th century banker Mayer Rothschild said to permit him to control a nation's money and he cared not who wrote its laws. Most of us know about the golden rule—he who has the gold does the ruling. Proverbs 22:7 adds that the rich rule over the poor, and the borrower is servant to the lender. Certainly, once some person gains control of a nation's money, the door is opened for him to also control its law-makers and laws. This power insures that the law-makers never get bold and try to pass restrictive laws to interfere in the person's operation. With this money control, the US president always appoints people acceptable by the bankers to the seven member Fed board. Manifestly, the board works for the bankers, just like the FOMC works for the bankers. Since appointments to the board are for fourteen years, and since board members cannot be removed except in case of personal misconduct, it is academic to talk about the question of independence by the board. Once members are appointed, they always go along with the bankers--who, with their money, wield a big stick in American politics. And since the board has no power on its own, the topic is irrelevant anyway. In offering the governing politicians unlimited supplies of money, the plan sold to the US was that the Fed would always buy any US Treasury bills, notes, bonds or paper which could not be sold to the public. This is called monetizing the debt when the Treasury simply hands a stack of interest bearing paper to the Fed in exchange for Fed money or bank credits (which are available in almost unlimited quantities at the Fed). This means that the Fed itself is one of the largest holders of US debt. With this huge inflow of interest annually to the Fed, the Fed offered a solution to satisfy the concern of politicians by transferring any unspent sums of interest back to the Treasury at the end of the year (and it does this annually so no one can claim that the Fed is out to make money on its own operations or from interest on US paper). Actually, there was never any plan or need for the Fed, itself, to be a money making operation. It doesn't need to make money because it was created for other purposes. In fact, the Fed does not need to make money because it already has essentially unlimited supplies of its own money and can issue this money in a virtually unchecked and unverified manner (because its operations are carried out in secret and there is no checking or auditing of what it does--even the CIA does not have this secrecy since the CIA has to ask the president and Congress for money and must accordingly accommodate them. With the Fed, it asks no one for money since it already owns the bulk of the US money supply). So, although the Fed carries on its operations in secret, and although it is never independently checked or audited (by anyone), the Fed chairman does occasionally testify before Congress on what the Fed is doing. Because of a lack of verification, the Fed Chairman can tell the Congress about whatever he wants to and no one will be the wiser. In putting this thing over, the Fed was given complete power and authority to control US interest rates at all levels and to be able to make money available to whomever or wherever it chooses at a given point in time. By controlling interest rates, it is an acknowledged fact that the Fed can enter and participate in the buying and selling of US notes, bonds, bills, etc. And it does so. The Fed enters the allegedly free markets and either buys or sells US and/or other paper to control interest rates (thus, the Fed insiders always know in advance which way interest rates and bond prices are going to go). Some years ago, the Fed/Treasury created something called the “Exchange Stabilization” fund or system to use a vast sum of Federal Reserve Notes to influence, control and participate in the currency markets (this thing was approved by Congress, though it is clearly an unconstitutional action). Hence, the Fed/Treasury can enter the different currency markets around the world to control the value of various foreign currencies. Thus, they can make the Mexican peso (or any other foreign currency) go up or down (and especially, in collusion with other privately-owned central banks--like the Bank of England, the Bank of Japan, the ECB, the Swiss National Bank, etc). The last item that the Fed/Treasury can do (or rather is doing since it is being done in secret and evidently illegally) is to rig and control the US stock and commodity markets by entering the markets with unlimited supplies of dollars to make selected items go up or down. Though gullible and uninformed US stock and commodity market investors believe that the markets are free and market responsive, they are not. They are manipulated and controlled. The Fed and the Treasury collaborated on this madness and created something in 1988 with the approval of Ronald Reagan (reportedly, per executive order 12631 on Mar 18, 1988) called the “Working Group on Financial Stability” (popularly known as the Market Control Unit or the Plunge Protection Team/PPT). This unit operates in collusion with the market-makers (the stock and commodity brokers making the markets on the major stock and commodity exchanges) to buy or sell certain stocks, bonds, currencies and/or commodities at certain times. In the way of a backdrop, let me add some material which shows how the US government has been involved in manipulating the markets. The old Spotlight newspaper and its successor the American Free Press were apparently some of the first sources to broach the work of the US government in intervening in the markets. “Spotlight” of May 8, 2000 (p. 1, 3), had an article on the roller coaster market by James Harrer which described the market control unit and how it works. As noted above, it is technically called the “Working Group on Financial Stability.” It operates in collusion with the market-makers (the stock brokers making the markets on the major stock exchanges) by flooding the markets with US dollars through them to buy stocks and reflate the market when desired. This Plunge Protection Team unit has intervened several times to prevent the US stock markets from tanking (Apr 22, 2002, “American Free Press,” p. 4). In 1998, one of its key players was Peter Fisher, the number two man at the New York Federal Reserve Bank (which manages this unit). Fisher was the specific person who was then known to swap intelligence and rumors with traders and dealers in his manipulation of the markets (ibid, p. 4). Clearly, this was insider information to some of the people tipped off by Fisher. Allison deMott, an economist and retired portfolio manager, said that when the market goes up, the insiders collect big winnings and when it goes down, the taxpayers eat the biggest losses. Obviously, this type of an arrangement is a gold mine for the clique of money changers running things in the Fed and the Treasury (like Alan Greenspan, Robert Rubin and Lawrence Summers; back in the Clinton days). Financial reporter Jim Metz said that he thought a market rigging operation like this one would cost mountains of money; but in fact, “a couple of billion worth of instant cash put up by the Fed and the Treasury did the trick” (in reference to the April 2000 intervention). Well known financial columnist John Crudelle confirmed that the government was propping up the US stock market. “Spotlight,” of February 19, 2001 (p. 1), quoted the well known Watergate reporter Robert Woodward of the “Washington Post.” Woodward has publicly acknowledged in a recent book that Fed Chairman (Alan Greenspan) was willing to do things that were “not legal.” Obviously, some persons are beginning to be aware that the Fed operates illegally (actually, by using its unlimited supply of dollars--belonging to the US). This whole operation is a price fixing scheme which would be illegal for private citizens to engage in. However, the Fed can get away it and with the full concurrence of at least government leaders. The above quoted April 22, 2002, “American Free Press” (p. 4) also had an article by Fred Lingel on “Felonious Fed Fingered for Financial Finagling” which illustrated how far this money scam can and may go in the coming days. Years ago, former Fed governor Robert Heller suggested the purchasing of stock index future contracts as an inexpensive way to rig the markets without leaving a trace (as reported in the “Wall Street Journal”). In watching the work of the PPT, it has become clear to me and indeed others that these conspirators have massaged their work to the point that not only can they influence/control stocks through the futures indexes, but even the value of commodities which are heavily influenced by the futures markets. For example, gold and silver advocates have discovered that the manipulators have established paper prices for gold and silver simply on the basis of the futures markets. Of course, it is becoming increasingly hard to find gold, silver or certain other commodities on the actual open market based on the futures prices. That's why some persons call the futures prices “paper” prices. While the market rigging practice is carried out under the guise of “protecting the US economy,” the truth is that it is a process of manipulating markets “in order to protect the money powers from the consequences of their risky investments.” If there are losses, the US taxpayers will pick them up. Now, there is obvious thinking at the top level that the Fed can enter any and all kinds of markets--real estate, gold mines, state and local bonds, etc. Consequently, most or all of the markets are not truly “free” and independent in terms of their primary motions. Like the gold market, the other markets are set up and controlled in order for the fat cat, international bankers to make massive profits with the ups and downs in the markets. Obviously, the big bankers engineer and direct these up and down, oscillating motions by manipulating those markets. They specifically cause the ups and downs so they can continuously buy at the lows and sell at the highs (which they control and know about in advance). If something happens in any given market which is not planned and directed by the money changers, operating from behind the scenes, they could lose all kinds of money and particularly so if the motion should get out of hand. If the stock market collapsed all at once, while the fat cats are fully or heavily invested, it would be disastrous for them. To preclude such an eventuality, they have obviously set this market control unit up with access to unlimited US dollars to alter free market operations. Consequently, the stock and commodity markets are not free or market responsive based upon supply and demand. They are subject to the wishes of the Fed (and its secret owners and insiders) to control them. Since these markets are manipulated and controlled by the Rothschild network of insiders, the unsuspecting public gets ripped off and cheated with regularity. All along, there was no plan that the Fed itself had to be a profitable operation because it has all of the money it can possibly use in the context of the printing presses and the huge inflow of interest annually from the US Treasury. Actually, the plan always was that the Fed would do things and carry on its buying and selling options in ways to benefits its secret owners, managers and other insiders. Therefore, the Fed itself does not need to make money in its buying and selling operations in the various financial markets. All it has to do is to keep its owners and other key selected insiders aware of what it is doing in secret. Can the reader possibly begin to understand the benefit that would come to an investor if he had prior knowledge that the Fed would enter the bond markets on a given day to buy or sell US government bonds to alter bond prices and/or to drive interest rates up or down? Alternatively, how about the benefits to a trader in commodities on the commodity exchanges? What if the trader had advance knowledge that the Fed would enter the commodity market at a given point in time and sell huge quantities of an item to drive the price down (which can be either long or short sales since the Fed has unlimited money to play with)? Would this type of information allow a trader/investor to make gobs and gobs of profits? Has a cat got a tail? Working the stock exchanges is even more enticing. Suppose you are a stock market player and you have advance information that the Fed will buy (or sell) Dow-Jones stocks on a certain day--like maybe GM or whichever. With your advance information, you can buy (or sell) these stocks in advance and then later sell (or buy) them back with fantastic profits. If the Fed loses five or ten billion dollars in Fed notes in the markets, it is no big deal because the Fed can simply print more of them (although it should be obvious to anyone above the idiot level that this squander of money belongs to US taxpayers who will have to pick up the liability for all of these Federal Reserve Notes and bank credits which have been liberally distributed around the world to make profits for the Fed owners and insiders). This type of Fed information on Fed actions is highly secret and no one knows much about it except the Fed's secret owners, people on the inside in the Fed, and brokers who execute orders for the Fed. Of course, it goes without saying that these insiders do tip off and keep some of their friends, relatives and colleagues apprised of what all is going on. Thus, Fed owners (like the Rothschilds and Rothschild relatives/colleagues like the Rockefellers, Warburgs and Lazards), Rothschild US agents (like JP Morgan-Chase and Goldman-Sachs) and Rothschild friends and relatives (like George Soros) will always know in advance which way things are going in order to make huge profits. Besides its primary functions, which allow the Fed to manipulate and control various financial markets to benefit its secret owners and insiders, the Fed also has other powers over the banks and financial markets. While these incidental powers are extremely important and represent enormous profit opportunities for member banks, they are not as important to the overall profitability of the operations to the Fed owners, as is realized in the ability of the Fed to secretly enter the financial markets to control and manipulate them in any desired direction (within reason and to a point, as long the US dollar has value and acceptance). In 1913, everything was ready for the fat cat bankers. But there remained some problems. First, the US Constitution set the power to coin money and to regulate the value thereof with the US Congress. How could all of this power be placed in a privately owned corporation? Well, the solution was that the US Treasury would print all of the paper money wanted by the Fed and charge the Fed for the cost of printing. Hence, the Treasury prints the Fed notes and sells them to the Fed for pennies on the dollars. The next big issue for the bankers was the possibility that the dumb, gullible public might become informed on what all was happening to their money and the secret actions of the Fed to use the US money in ways to make profits and gains for its secret owners and insiders. In other words, the people could find out the truth and get riled up against the bankers. The last big issue concerned the possibility that the Fed could conceivably lose control of events or precipitate a collapse of the historically strong dollar. The stock market crash of 1929, as caused by the Fed, almost brought about the end of the system. But massive federal spending by FDR saved the process for the Fed owners. “In theory, the Fed was established to stabilize the economy, smooth out the business cycle, manage a healthy, sustainable growth rate, and maintain stable prices. In fact, it failed dismally. It contributed to 19 US recessions (including the Great Depression) and significantly to the following equity market declines that accompanied them as measured by the Dow or S & P 500 average - the S &P's inception was 1923; it became the S & P 500 in 1957: -- 40.1% (Dow) from 1916 - 1917; -- 46.6% (Dow) from 1919 - 1921; -- the 1929 (Dow) crash in two stages - 47.9% in 1929 followed by a strong, temporary rebound; then - 86%; an 89% peak to trough total from October 1929 to July 1932; -- 49.1% (Dow) from 1937 - 1938; -- 40.4% (Dow) from 1939 - 1942; -- 25.3% (S & P) from 1946 - 1947; -- 19.8% (S & P) in 1957; -- 26.8% (S & P) from 1961 - 1962; -- 19.3% (S & P) in 1966; -- 32.7% (S & P) from 1968 - 1970; -- 45.1% (S & P) from 1973 - 1974; -- 20.2% (S & P) from 1980 - 1982; -- 32.9% (S & P) in 1987; -- 19.2% (S & P) in 1990; -- 18.8% (S & P) in 1998; -- 49.1% (S & P) from 2000 - 2002; and -- about 50% (S & P) and counting (excluding a bear market rebound) from October 2007. “The Fed is also directly responsible for monetary inflation and the decline in the US standard of living since its year-end 1913 inception and especially since the 1970s. From the late 18th century to 1913, virtually no inflation existed under the gold standard except during times of war. Using government data, it now takes over $2000 to equal $100 of pre-Fed purchasing power. In other words, a 1913 dollar is worth about a nickel today. Although not mentioned by Lendman, the operations of the Fed and its control of the US economic and monetary systems have allowed a clique of money changers and other insiders an opportunity to make untold amounts of profits and gains which they could never have made before 1913. Many of these money changers have become some of the wealthiest people in the world—thanks to the Fed and the gullible American taxpayers who have sat back and allowed this scam to proceed. On Sep 10, 2002, Ron Paul on the House floor said: "Since the creation of the Federal Reserve, middle and working- class Americans have been victimized by a boom-and-bust monetary policy. In addition, most Americans have suffered a steadily eroding purchasing power because of the Federal Reserve's inflationary policies. This represents a real, if hidden, tax imposed on the American people...."
With the development of the privately owned US central bank, there has been a simultaneous process underway where virtually the same people who own or benefit from the Fed also own or control the US media powers. Thus, the people who control or have access to the Fed (i.e., the large international banks and bankers—like the Rockefellers, Rothschilds, Warburgs, City Bank of NY, J. P. Morgan-Chase, Bank of NY, Kuhn Loeb and Company, Goldman-Sachs, etc--but this list does not include most small town local banks which are not privy to this operation) also own or control the US media powers, either directly or through agents and collaborators (like ABC, CBS, NBC, CNN, AOL-Time-Warner, the Washington Post, Newsweek, etc). With this dual control, the masses can be forever kept in perpetual ignorance about what all is going on behind the scenes. With an ignorant public, the status quo can continue and the big bankers will continue to make vast profits. The fantastic success of privately-owned central banks in England, France, the US, etc, prompted the banking plutocrats to decide in the 20 th century to branch out into a world configuration. Yes, instead of stealing and cheating the people of single nations, the big bankers could go global and steal from and cheat all of the people all over the world. The plan was simple. The bankers joined arms with numerous other people who also wanted the implementation of world government. In the deal, the bankers wanted to own and operate the world's central bank (to make incredible profits). This reality means that the big bankers (who have the money) are some of the most powerful persons of all working for world government. The above article has been published by the Analysis of News to better inform people on the activities of the plutocratic financial market manipulators and what they are doing to deceive us and cheat us out of our last nickels and dimes whenever we try to play on their field. Subscribers receive the analysis of news by email weekly. And when warranted, because of any urgent news reports, flash reports are sent by email at once to subscribers. To enter your subscription now, please check the How to Subscribe item at the left menu of the website at www.analysis-news.com . Click here to go to the home page of www.analysis-news.com . Clearly Robert Bradshaw is factually incorrect in his statements. He presents libel, smear and propaganda as fact and is obviously part of a conspiracy that believes that Jews rule the world. Jewish people are only one per cent of the world. They cannot and do not rule it. They do not control the world money. He talks about the usual anti-Jewish diatribe against the Rothschilds and how they control the world money. This is patently false. You should not allow Bradshaw to write anymore articles for this e newsletter. Your right, Jews don't control the world, BUT Rothschilds have done their best to manipulate governments i.e. According to wikipedia.org the Rothschilds have manipulated governments into taking action especially in the formation of Israel as well as profiting from wars. And wikipedia as I am aware is owned by Jewish people, apart from the promotion of Israel, yes Rothschilds are little different than any other of the greedy corrupt bankers that seek to distribute wealth from the masses to themselves, therefore it is NOT a religious thing but rather the greedy bankers thing of which the Rothschilds top the list who just happen to be Jewish. Religious debate is beyond the scope of this site. No further comments will be allowed on this thread.